Glen Pitt-Pladdy :: Blog - Arg! 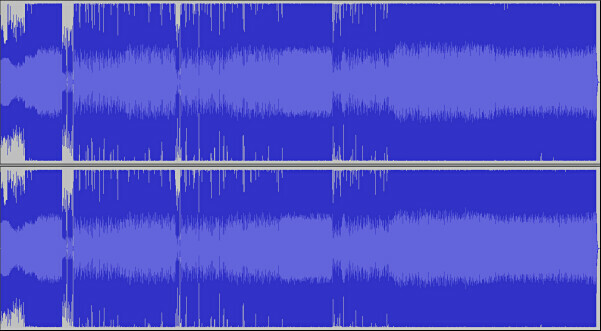 Loudness Wars! I come from a background of electronic design which has lead me down some interesting paths. Once upon a time I was doing pro sound gear, including custom equipment for recording studios, cinemas and the like, and I have learned to appreciate really good sound. Now, I sit here listening to the Foo Fighters album, One by One, and for all the care I take to have good equipment with plenty of headroom to play back the music, there is gross distortion (clipping) in the recording. Going digital has given us the facility for lossless storage (I'm not saying that the sound is captured perfectly, just that the data can be stored without further loss, unlike analogue), and processing the sound (eq, mixing, etc.) without many of the limitations of physics that apply to analogue. In theory anyway, this should mean dramatic improvements in sound quality, but for the most part, it hasn't been reality. It should also give musicians unprecedented freedom to be creative. Instead, on the recording front, major labels have used the opportunity to make their recordings LOUD. That's it - nothing about quality, just loud. Listen to a modern re-master of an old recording, and the original (off vinyl even! ), and the re-masters often sound lifeless. 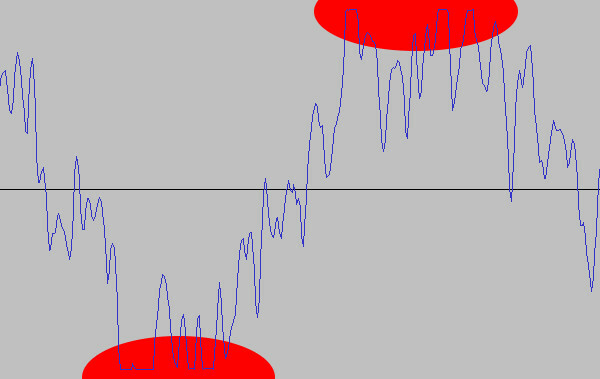 Much of the problem is aggressive dynamic range compression. What this means in simple terms is processing the sound so quiet sounds are louder and the overall mix can be recorded at the highest overall level. What seems to have been missed is that when I play back the music, I control the volume - not the recording engineers. 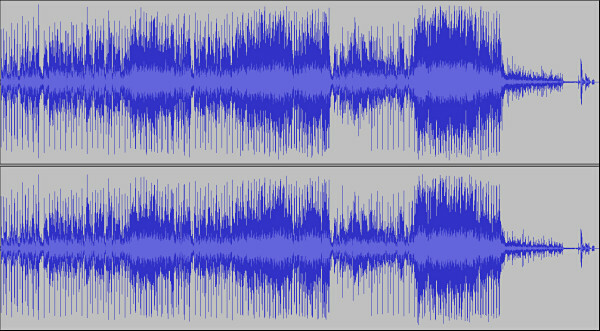 YouTube is full of vids demonstrating this, even comparing originals with re-masters - just search for "Loudness War". 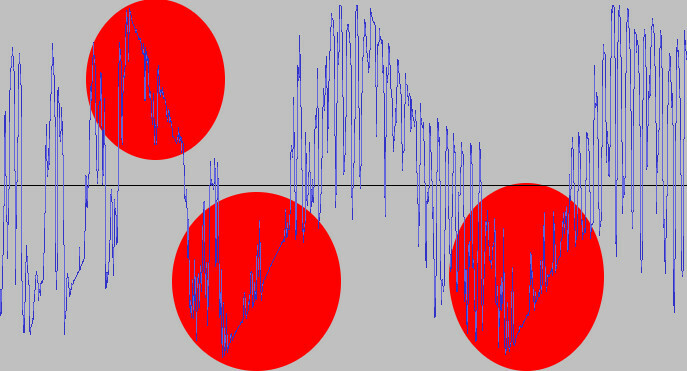 I decided that I would pre-empt anyone who decides to point out that this could be distortion from overdriven guitars. One of the things that I used to design was in fact guitar amps, and I can tell you right now that a miked up amp has so many complex filter elements, resonances and other things going on between the distortion stages and the ultimate recording that it would look nothing like that. If you don't believe me then try it! So is this just an audio nut mouthing off? The one thing that my experience in the audio world has told me is that the human ear is capable of far more than people think, provided, and this is the important bit, the listener knows what they are listening for. In my experience accomplished musicians have regularly demonstrated being able to hear astonishingly small effects on their own instruments which popular beliefs among engineers would suggest should not be possible, and indeed other listeners can't hear. What are they using for the comparison? Modern mainstream recordings? If so, then the quality is already gone (see above), so no surprise they can't tell the difference. What kit are they listening on? If it is a consumer player (or worse yet, all but the very best PC sound cards), it may sound impressive and have all sorts if impressive boasts by the manufacturers, be really all but a very few pieces of consumer audio equipment are free of gross defects in the sound reproduction. What speakers / headphones are they using? I have measured a number of consumer as well as high end speakers, some of which are popular among audio engineers. Sorry to say, few have significant output above 10-12KHz, and especially with consumer gear, many are already loosing it badly by about 6-8KHz. Distortion and many encoding defects manifest themselves in the higher frequencies, so when you are not hearing them to start with, how can you say the defects don't exist? Funny enough, when people who are not accustomed to spending time around high quality equipment hear speakers or headphones that do actually produce the highs, they often find them extremely harsh sounding. So, before you compare, remember that the chain is only as strong as the weakest link - make sure the other links in the audio chain (including the skills of the listener) are beyond blame.